The San Diego Model Railroad Museum, located in Balboa Park, in the basement of one of the many buildings on El Prado. To me it felt like a shorter/smaller version of Northlandz, the NJ museum featured in Wired magazine last year, albeit it was 100X cleaner and with a lot more employees. 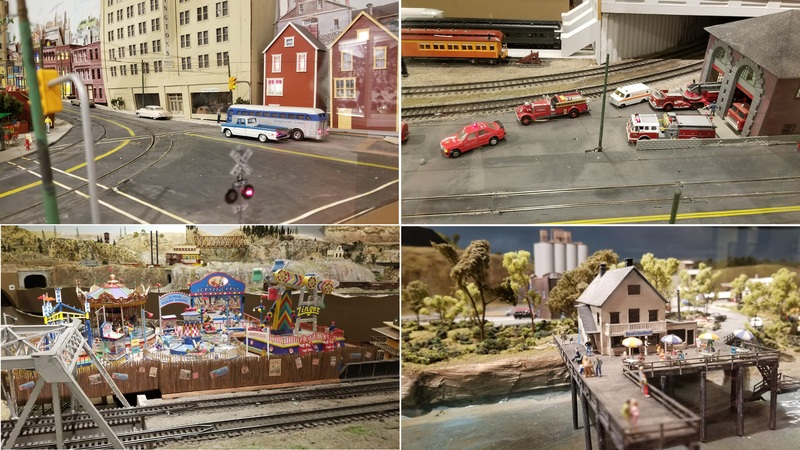 They advertise as the largest Model Railroad Museum in America, with mini-exhibits imitating some of the local mountain ranges and railroad tracks. They have double track main lines, replicas if the Tehachapi Pass and it’s single track loop through a steep mountain grade, and one of the original route that had been planned for Carlsbad and Downtown San Diego. One of the more interesting rooms was the Toy Train Gallery, which features the famous, and typical model railroad, of Lionel Trains. 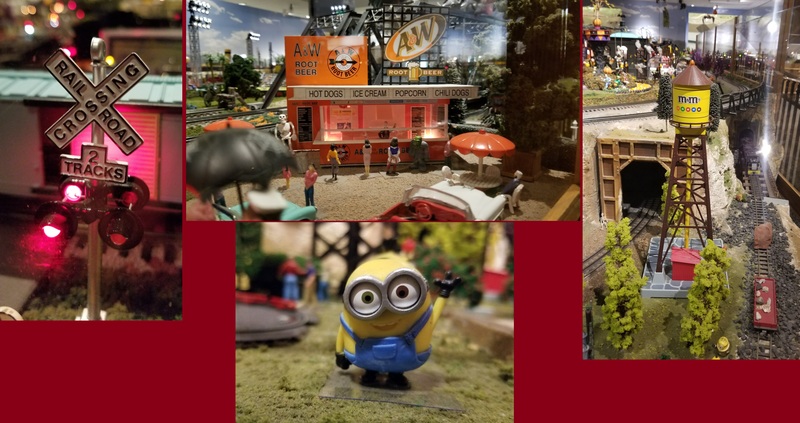 This exhibit was all done up with modern toys, including the minion below, and had a train car filled with candy for people to take, being a few days before Halloween when I was there. Also featured was the Centennial Railway Garden, which commemorates the 100th anniversary of Balboa Park. This exhibit, unlike all the other ones, is fully green powered, as it is powered by solar energy, and all the real plants used around the track are drought tolerant. My biggest amazement was the number of employees there. Each exhibit had people walking around in it, with controllers and tools, starting and stopping lines, and building up new exhibits while maintaining the old ones. After Northlandz, and their seemingly only 2-3 employees, this was a nice change and makes it show that this was a highly cared for, and beloved exhibit, as the people there were all knowledgeable and willing to talk about their trade.